Want to link your domain to your Big Cartel store? We can do that! 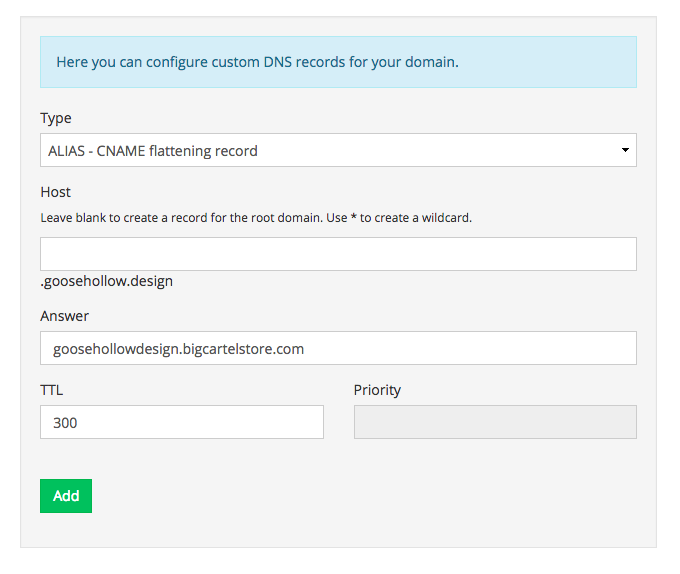 You will need to add a CNAME record and an ALIAS record for your domain to work. Let's get started! Now, we'll want to add an "ALIAS- CNAME flattening" record. The Host field should be blank, and the answer should be the same provided host name as step 4. 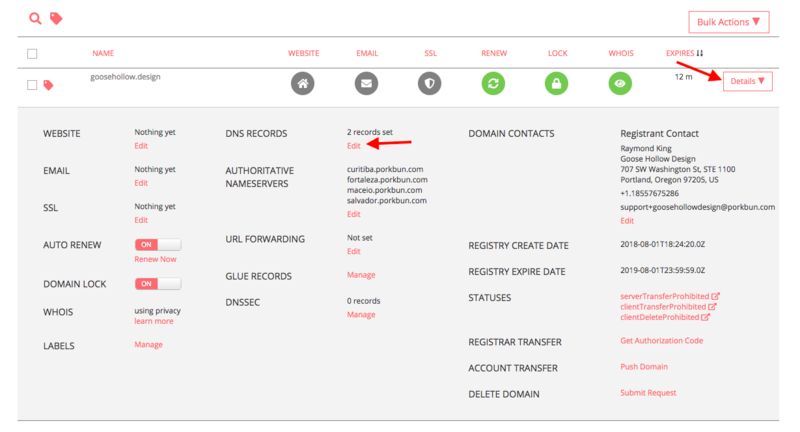 "Head to Account > Edit your shop info > Add a custom domain and click Add domain in your Big Cartel admin. 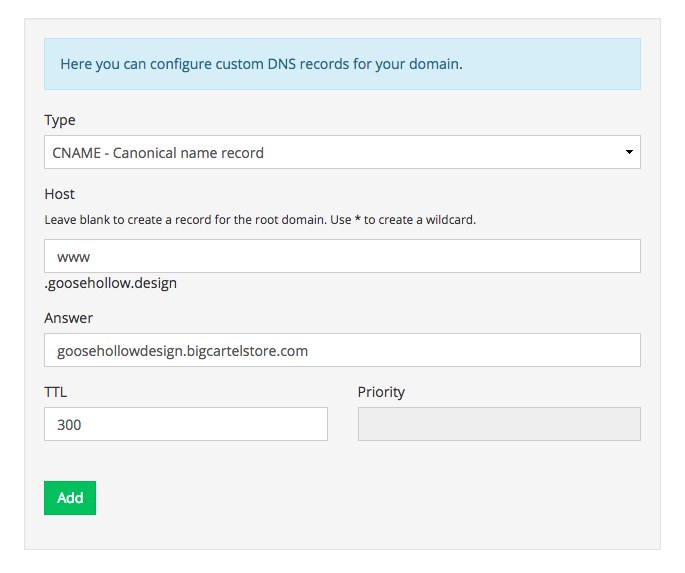 Enter your full custom URL (ex: www.mybigcartelstore.com) into the custom domain field, and be sure to click Save."